Athletics and outdoor activities allow you to blow off steam from a rigorous academic schedule. Because we know how important this is, we keep our athletic and outdoor facilities up-to-date and ready to go! 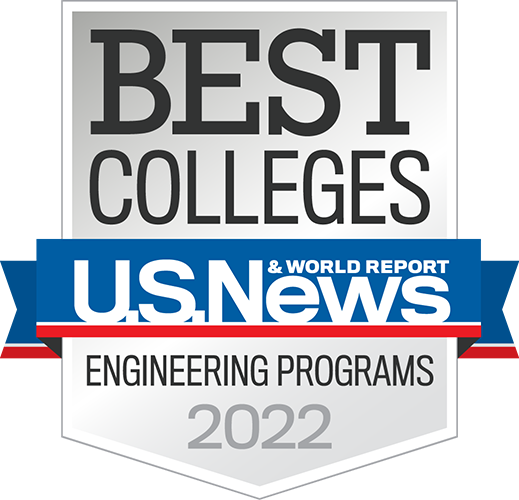 Cheer for the Fightin’ Engineers! We're an NCAA Division III school with 20 varsity men’s and women’s sports. RHIT athletes compete in the Heartland Collegiate Athletic Conference. 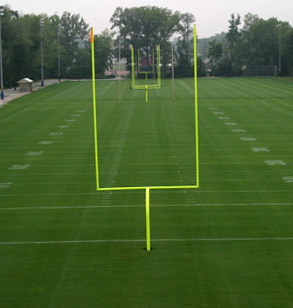 Check out our great indoor and outdoor athletic, intramural, and varsity sports facilities. Our campus also offers plenty of quiet pathways and scenic views to make an evening stroll the perfect way to wind down. Here is some of what we have to offer! 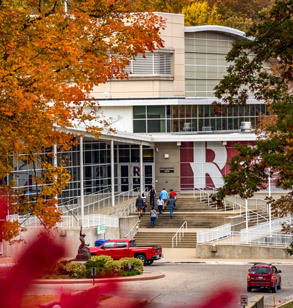 The SRC is a 156,000-square-foot athletic facility offering basketball courts, an indoor track and field course, cardio and weight rooms, racquetball courts, an eight-lane natatorium, a climbing wall, volleyball courts, a multipurpose room, a homerun derby cage, and more. We know you’ll find something you’ll love at the SRC! 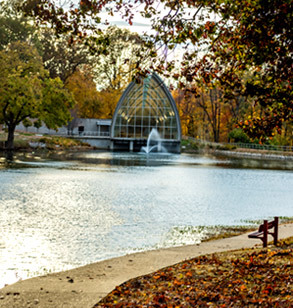 Speed Lake, located in the heart of campus, provides a beautiful setting for the Hulman Student Union and several residence halls. It also serves for fun activities such as swimming and fishing. Relaxing on Speed Beach is also a nice break from studies. You may occasionally hear of someone being “laked,” a longstanding tradition involving a refreshing dunk in the lake on your birthday or another special occasion. About three-quarters of our students participate in intramurals – from ultimate Frisbee to flag football. We offer more than 30 activities, including chess, kickball, basketball, disc golf, three-pitch softball, tennis, soccer, volleyball, wallyball, racquetball, a golf scramble, and much more. 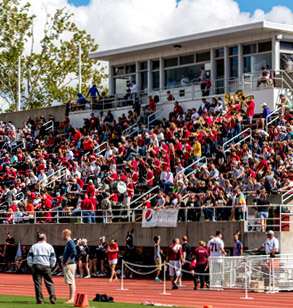 Cook Stadium is home to the Rose-Hulman Fightin' Engineers football team and Phil Brown Field. The stadium, which seats 3,500, was made possible through the generosity of Bill and Gayle Cook. The field is named for Rose-Hulman's legendary gridiron coach, Phil Brown, who led the Engineers from 1928-1958. Rose-Hulman plays it home baseball games at beautiful and modern Art Nehf Field, home of the 2005 and 2006 NCAA Division III Midwest Regionals. The field is named for alumnus Arthur Neukom Nehf, who played for Rose-Hulman before a stellar Major League career with the Boston Braves, New York Giants and Cincinnati Reds. He finished his pitching career with the pennant-winning Chicago Cubs in 1929. In total, he won 184 games in 15 seasons in the big leagues, including clinching World Series games in 1921 and 1922. 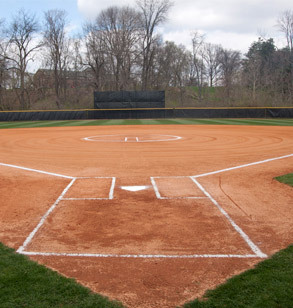 Our softball field, constructed in 2000, has been called one of the top venues in the Midwest by participants at every level. 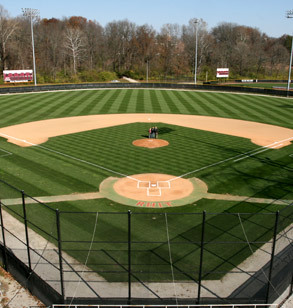 The facility contains lights, full-length dugouts, bleacher seating, complete bullpens, tarps and a press box. Our $1 million, state-of-the-art William Welch Track & Field Complex features a Martin ISS 1000 surface, used in the Olympic Games and NCAA championships at all levels. 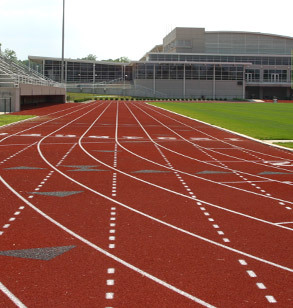 The complex is located in Cook Stadium and is used for the cross country and track and field meets. Bill Welch worked with Rose-Hulman's cross country and track programs from 1981 to 2000, winning eight College Athletic Conference titles. During his tenure he developed 33 NCAA Division III All-Americans and five individual national champions. He was inducted into the Rose-Hulman Athletic Hall of Fame in 1997 and the National Track and Field Hall of Fame in 1977. 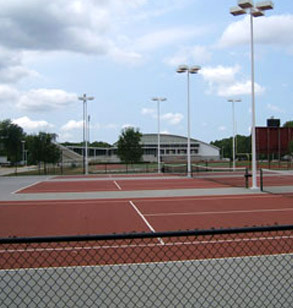 The Joy Hulbert Tennis Center, just east of Cook Stadium, was constructed in 1999 using the same hardcourt surface used at the U.S. Open Complex in Flushing Meadows, New York. The venue includes six lighted courts. The courts are named for Joy Hulbert, wife of Sam Hulbert, president of Rose-Hulman for 28 years before his 2004 retirement. Joy Hulbert was a competitive tennis player and a strong supporter of Rose-Hulman athletics during her husband’s tenure.